We have already taken two excerpts from Rafa’s extended interview last week with France Football. The outlet was intrigued why Rafa had chosen Newcastle United and not a more prosperous and more prominent club after he joined us on March 11th, 2016. That was following his firing by his hometown club Real Madrid back in January of 2016. Rafa has worked at some of the top clubs, and he has worked with World Class players like Cristian Ronaldo and Fernando Torres when he was at his very best. Steven Gerrard was his captain at Liverpool and Steven was one of the best club players ever to play in English football for the way he led his hometown club. We will never forget how Steven almost single-handedly led the Reds back from a 3-0 scoreline at halftime to win the Champions League on penalties against Milan back in 2005. That sounds like Rafa is even enjoying his time and efforts to build Newcastle into a top club again, with a team that eventually competes in Europe. Rafa is motivated by the challenge to his coaching skills at Newcastle, but as we know, he’s had very little help or funds from the owner Mike Ashley. 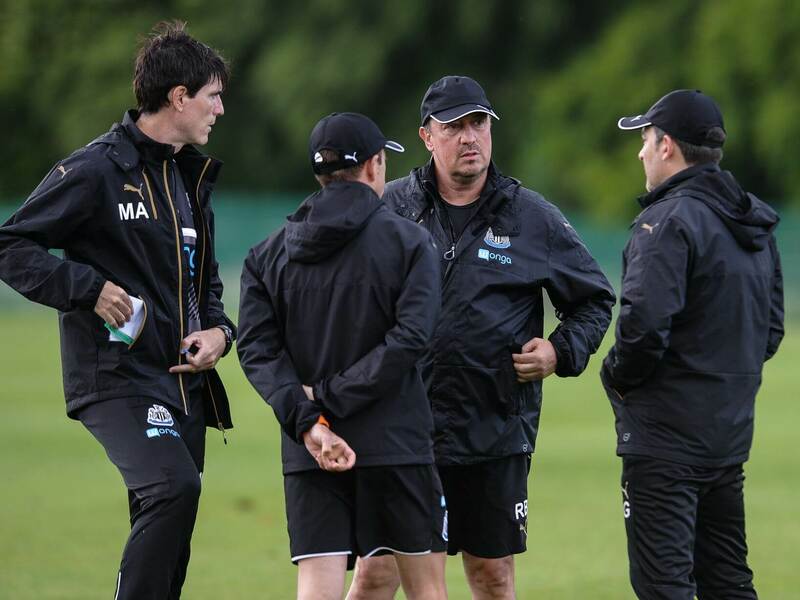 We are hoping – come hell or high water – Rafa Benitez will stay at Newcastle for the long term. So he will eventually manage a top club and have a great team again. How Will Newcastle Fare At Chelsea? Can anyone shed a light on this player? Is he fast, strong, skilled? All I know is that he’s tall and can get in some good positions but that’s that!? Frank have you lost your sock ??? Out of the blue loan signing on deadline day (forward) X Usual January for us with Ashley. Total non event. Like your style and often thought provoking. Rarely get it wrong these days. But It was not a massacre. The truth about the Massacre of Glencoe was that the Campbell’s got most of them to safety. Like to see you incorporating ” Do you concur” following any brief response. That is in response to the mindless types promoting their legal, negotiating, finding fault for the sake of it types. Those that couldn’t negotiate their way out of a wet paper bag. Like me correcting the tiresome boring hibbit. Lee Charnley is the NUFC managing director. Robin Van Persie signed for Feyenoord a few days ago. Finally, I hope Rafa fields a strong lineup at Chelsea. They are really struggling at the moment both on and off the field and this has got to be a great opportunity to get into 5th round then with a squad supplemented by a few more signings. fancy a cup run which could have a great boost to confidence going forward in league. Let’s be more positive at home wish the fans would get totally behind the team. At away games we do.